There are many Shopkins that make up the Shopkinsworld. Keeping track of them all can be difficult. Below is a Shopkins Printables Checklist to help you keep track of them all. *Season 1 and 2 had exclusive figures that came in the playsets, Season 3 did not. *There are other Playset Shopkins. These themed Shopkins were not part of teams. 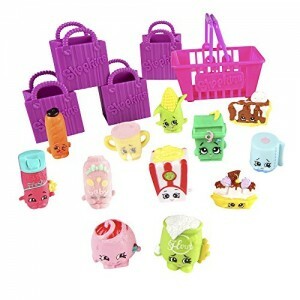 *A set of themed collection Shopkins packs were also released. *Some of board games also include Shopkins Figures. Below you can also find a Shopkins Printables PDF List of Shopkins so you can check off which ones you already have. Find out the Name of Shopkins Currently Available below. Remember to check back often as a Number of Shopkins new Shopkins are released and please make sure to enter our Monthly Drawing for a Limited Edition Shopkins Set.